stunning views of Newport Harbor, along with great views of downtown Newport. 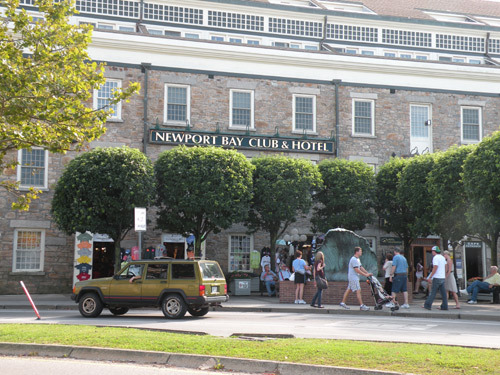 Located right at the intersection of Thames Street and America's Cup Avenue, this hotel is literally right in the middle of all the action in downtown Newport. 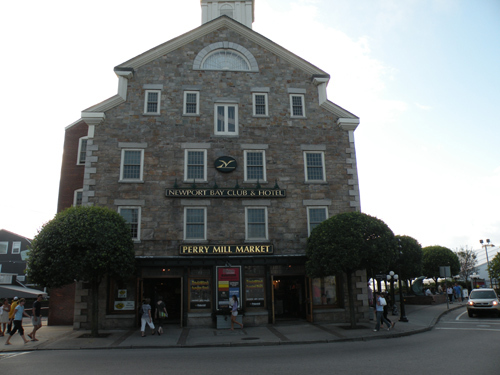 If you're going to visit Newport Rhode Island, this is definitely a perfect area to stay in. 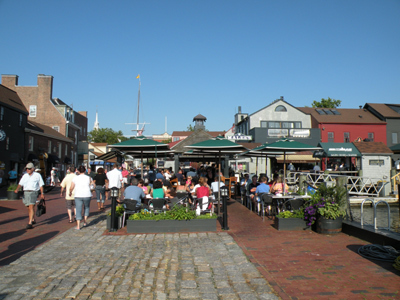 To the north (America's Cup Avenue), you've got never-ending unique shops, fantastic waterfront restaurants, and sailing from the docks of Newport Harbor. 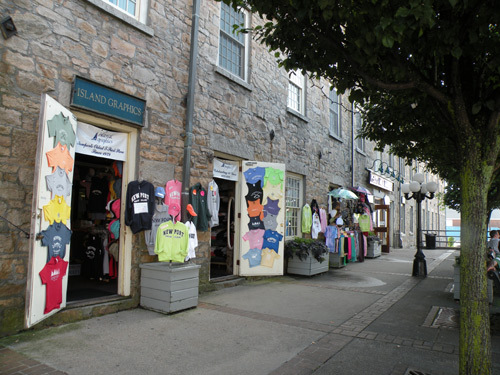 To the south, you still have a multitude of shops and fantastic waterfront restaurants. Continue on a little further, and you'll begin your journey around the breathtaking Ten-mile Ocean Drive, one of New England's most stunning scenic drives. 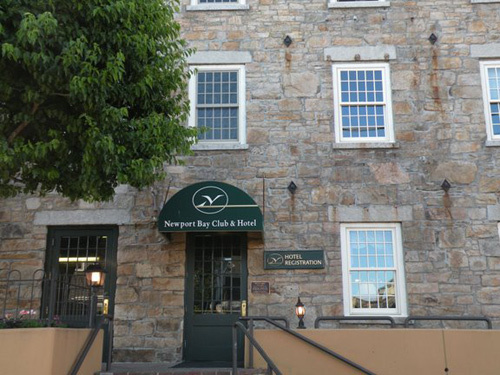 Being a native, I haven't stayed in a lot of Newport Rhode Island hotels. I did stay here though, with a group of friends in one of the townhouses. It was a very spacious, 2 bedroom suite that was a perfect spot to have a get-together before going out that night. The views were incredible. The 1st floor had a good size living/dining area, with 2 decks overlooking Newport Harbor and downtown to the north. If you like people-watching, this is the perfect spot to watch the crowds from above. The bedrooms were on the 2nd level, with a shared bathroom in between that had a jacuzzi. The bedrooms also had their own decks overlooking America's Cup Avenue. There's no pool here. They do have a deal where you can buy a pass to the Newport Athletic Club (a few miles away), but there is nowhere to swim on-site. Noise - If you stay here during the summer, be aware that you're at ground zero when all of Newport's bars close and all the drunks start heading home or on to their next party. If you're a really light sleeper, or need to be up early for a meeting, you might need to take a sleep aid if staying here. If your only concern is being in a prime location to access downtown Newport, then it doesn't get any better than this location. If you stay here, you really are in the middle of everything. 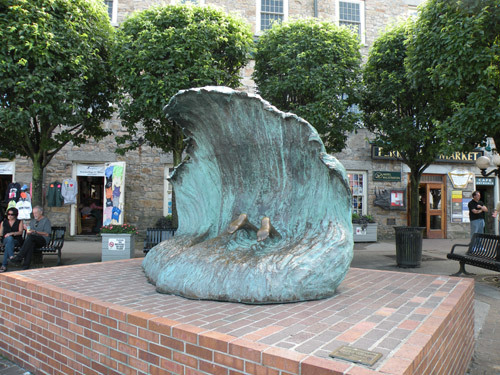 Just take a few steps in either direction and enjoy countless Newport RI attractions, shops, bars and restaurants.